How to keep your New Year's resolution to improve service — Toister Performance Solutions, Inc.
There’s a small lake near my home that has a paved two-lane path around it. The path is popular with walkers, runners, and bicyclists. It surges in popularity at this time every year. Blame it on New Year’s resolutions. You can spot the resolutionaries. They’re attired in new outfits, uncomfortably sweating to an unfamiliar routine. A look of determination quickly gives way to exhaustion. They’re clearly not used to this. Most of them will disappear in two weeks. They’ll be back to their usual patterns. Maybe next year will be different. But probably not. What we do for the first few weeks in January is far less important than what we do the rest of the year. Many people make New Year’s resolutions. Perhaps it's to get in shape, learn a new skill, or maybe get ahead at work. Businesses make New Year’s resolutions too. They take the form of budgets, strategies, and plans. Like all New Year’s resolutions, they stipulate that things will be different commencing on January 1 (or the start of the fiscal year). 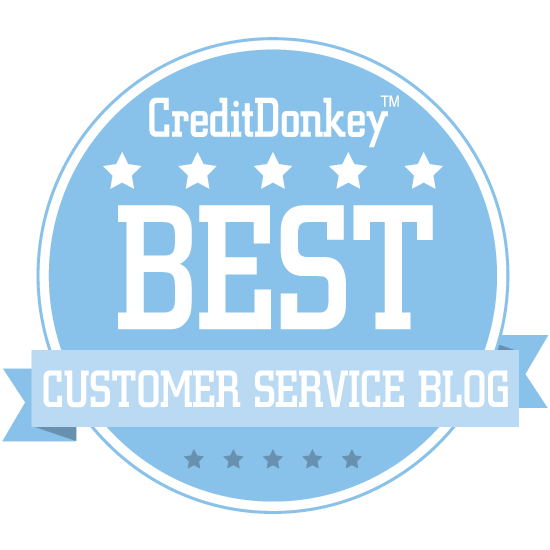 Did you make a New Year's resolution to improve customer service this year? If so, research suggests your chances of success aren't so good. Our behavior in December has a lot to do with our general inability to keep resolutions that start in January. December is about excess. We eat too much. Drink a bit more than usual. Our stress levels skyrocket as we try to cram in holiday parties, shopping, and visits to relatives alongside our normal routines. Businesses change too. Some businesses, like retail, get insanely busy. Other businesses slow down a little as large portions of their workforce take vacation. Then, come January 1, we try to flip the switch. How can we really expect to be uber-disciplined after a month like December? January 1 is not necessarily the best time to commit to lifestyle changes; there's nothing magical about that date. Resolutions fail because we expect there to be magic. In reality, a resolution is an extreme change to our behavior. Given the high failure rate of business plans and New Year’s resolutions, how can you be one of the lucky few who stick with it? The first order of business should be to avoid a revolution. That’s why resolutions fail. They’re too big a leap from what you’ve been doing. Think evolutionary progress. Identify the next step in your journey and focus on that. If you wanted to go running more often, a resolution would be to become a runner. That's hard to do if you're a couch potato now. Instead, you might just go for a run. And then, after going for that run, think about going for another one. For many companies, the next step towards taking service to the next level is to define what outstanding customer service looks like. This is called a customer service vision. Of course, there's more to it. Katherine Milkman and Kevin Volpp recently wrote an article in the New York Times that provides five tips to help you keep your resolution. I’ve summed them up below in the context of improving customer service. Don’t just resolve to get better. Create a specific plan to improve service. Put due dates on each action and assign responsibilities. Then set a time to check back in. Business plans and strategies take on more importance and urgency when they’re connected to the bottom line. They’ll also be more likely keep executives’ attention and remain a priority through the inevitable ups and downs of the year. I've seen a lot of customer service initiatives fail because they were treated like separate projects. Saying, "We'll work on service in our spare time," inevitably places service as a low priority item. Sooner or later other urgent needs will bump your service initiative out of the way entirely. A better strategy is to try to integrate your initiative into your daily work as much as possible. Think "This is how we do business now." 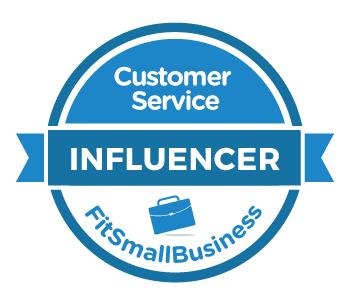 Remember that improving customer service takes everyone’s involvement. If the Customer Service Manager is focused on service but the Operations Manager is focused on cost-control, the two will soon be butting heads if they don’t align their goals and find a way to help each other. This goes for frontline employees too. Get the whole team to take ownership of customer service goals. There are peaks and valleys in any endeavor. This makes it important to renew interest in your service resolution as intensity naturally wanes. Many companies struggle with customer service because they don’t talk about it enough. Talk about service in meetings. Revisit your goals. Celebrate progress. Do whatever you need to do to keep the conversation going. Will you keep your customer service resolution?